Update 5/16/12: This car sold for 257,600 Euro’s or about $340,000. I would be tempted to call this a bargain. With supplies this limited, and nearly the usability of a modern car, these can’t help but get more expensive. 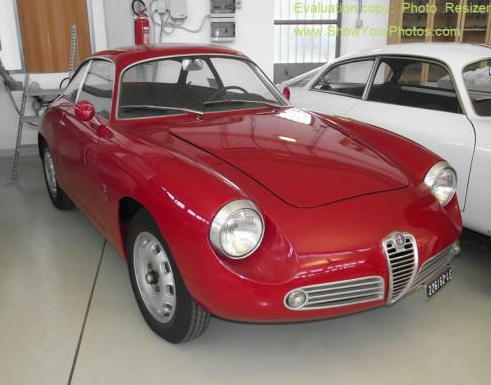 Giulietta Sprint Zagato 10126*00051, 00120*00175. 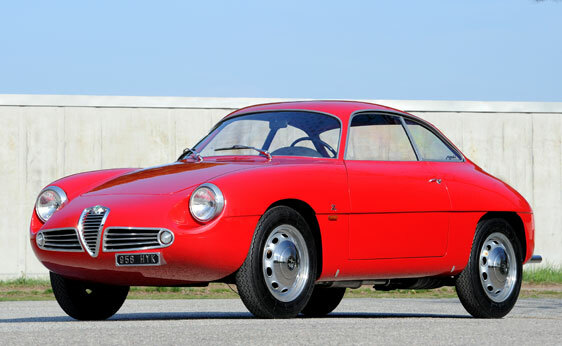 This SZ is going to be auctioned by RM on May 12th along side some other interesting Giulietta’s. Auction estimate is €240,000 – €280,000, ‘only’ about 3 times what a top SS goes for at auction, where SZ’s used to be 10 – 12 times more expensive. If you don’t believe SS values are in a bubble, then you should consider SZ’s a bargain, since they only made about 200 of them. I don’t know SZ’s like I do Sprints, but this car looks good to me. Does indeed look amazing. It’s important to remember that while a lot of the mechanical parts are in common with some other Giulietta’s, the coachwork has to be restored or hand-made replaced and most of these cars saw a decade of hard use before becoming desirable collectors items. Note the jack point covers in aluminum. Nice touch.